Molly Harper and Amanda Ronconi are the most perfect combination! Jonathan Davis is N excellent addition to the alchemy of Harper and Ronconi. 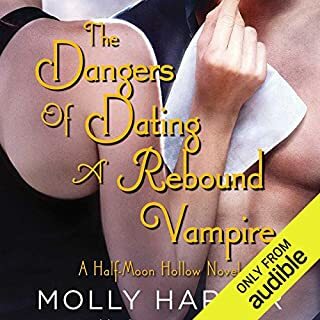 Molly Harpers humor and willingness to let her characters be imperfect, humorous and genuine makes her books a great go to time and time again. I can’t wait until the next time she lets us go to Mystic Bayou! Laurell K Hamilton is a first rate story teller. Her characters are vivid and realistic with wonderful growth and change through out the series. What was one of the most memorable moments of A Caress of Twilight? Well I can't say that or its a spoiler! Was A Caress of Twilight worth the listening time? If you are going to read a book that has Gaelic based names etc please learn how to pronounce them. Sioban is not pronounced "See o Ban" it's pronounced "Shivan" for example! 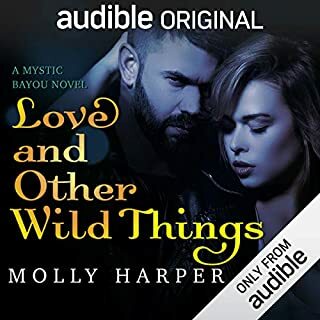 Molly Harper hit another one out of the park! Witty, sassy and fun! You are drawn into the Hollow and it leaves you wanting to have another book to give you more time with the friends we have come to know and love. Amanda Ronconi's narration is spot on perfect. I love the depth and breadth she gives to each character. He timing and inflection shows that she is a true master of her craft! 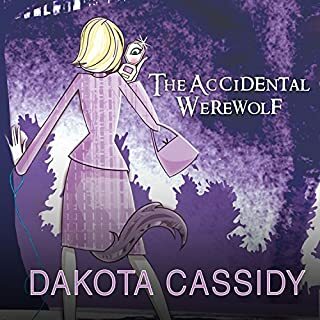 If you’ve listened to books by Dakota Cassidy before, how does this one compare? Odd inflections that took away from the story and dramatic pauses in awkward places. Most of her sentences had a downward inflection at the end like you might hear from a particularly sober priest, a reading of 14th century poetry, or someone reading an obit. Not a romantic comedy audiobook. It was supposed to be a fun day, shopping at the mall with her best friend. Then the panic attack started and Kaylee Cavanaugh finds herself screaming, unable to stop. Her secret fears are exposed, and it's the worst day of her life....Until she wakes up in the psychiatric unit. She tries to convince everyone she's fine--despite the shadows she sees forming around another patient and the urge to scream which comes burbling up again and again. This novella shows a brief glimpse into Kaylee's life before she knew the truth about her history and her powers. What could be more frightening than have your world turn upside down and be assaulted with a terrifying reality. Perhaps only waking up in a mental health hospital chained to a bed with no memory of arrival. 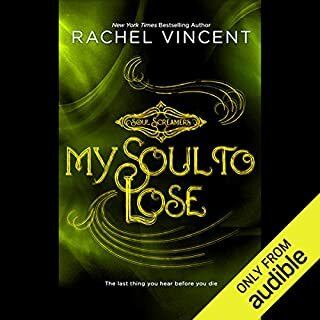 Feeling lost and alone and betrayed by family- Kaylee has to figure out how to best navigate this situation as well as try to figure out whether she is actually crazy or why her panic attacks turn her world upside down.